I love a cocktail. Nothing so eloquently sets the mood on a night like Valentine’s Day as a fresh and sparkly drink served up in the perfect glass and garnished with something beautiful. But this year, Valentine’s Day falls on a Thursday, which means…we’re with the kids and it’s a school/work night. My husband and I will still enjoy some quiet time after the kids go down for the evening, but this year, it’s going to be with Mocktails instead of Cocktails. Mocktails are making their way onto bar menus across the country, and they should be making their way onto your bar cart. 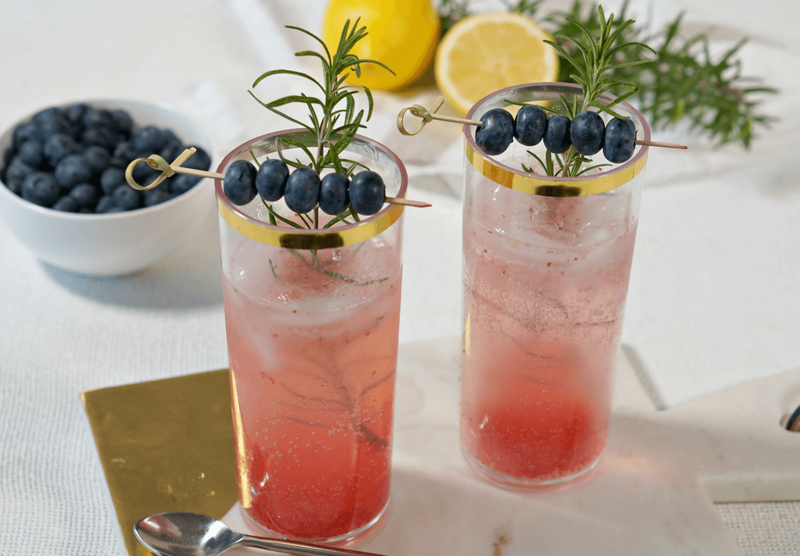 With fresh fruits, herbs, honey, tonic waters, and gourmet sodas these drinks are just as craveable as their boozy counterparts without the headache (or the diet-guilt) the next day! Try your hand at crafting one of these delicious mocktail recipes for your loved ones this Valentine’s Day. 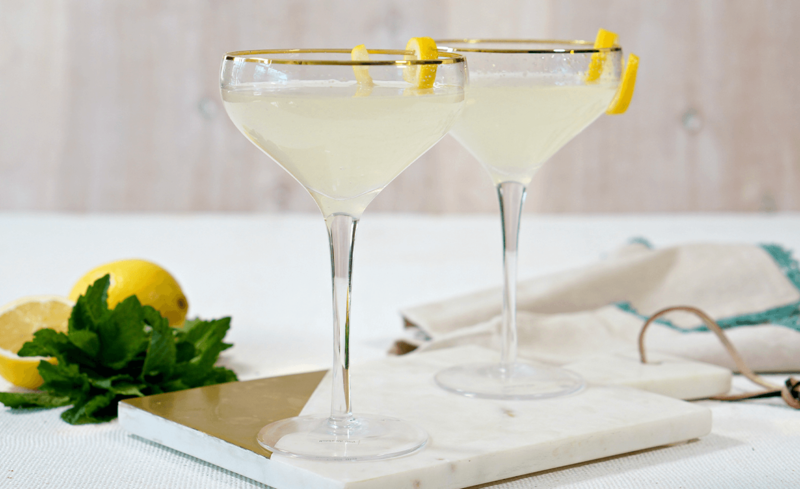 Enjoy the Berry Bramble with breakfast in bed or kick off a date-night in with the Non-Alcoholic French 75! Muddle blackberries and honey in a cocktail shaker. Add in lemonade and one cup of ice. Shake vigorously. Strain into a glass and top with ginger ale. Muddle blueberries, rosemary leaves, and honey in the bottom of a cocktail shaker. Add lemon juice and ice. Shake vigorously. Strain into a tall glass filled halfway with ice. Top with sparkling water and stir. Muddle honey, lemon, strawberries and basil leaves in a cocktail shaker. Add in one ounce water and a cup of ice. Shake vigorously. Strain into a glass and top with soda water. Muddle lemon juice, bitters, mint and honey in a cocktail shaker. Add in ice and shake vigorously. Strain into glass and top with tonic water.